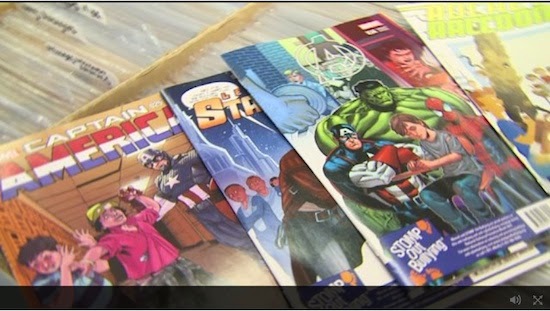 Yes, that was Empire's Comics Vault you saw on the Fox 40 news piece about the collaboration between StompOutBullying.com and Marvel Comics during National Bullying Prevention Month. And yes, that was John Marcotte of Heroic Girls, the "organization dedicated to empowering girls by advocating for strong role models in alternative media — particularly comics." For a local resource about bullying prevention, check out the Sacramento Countywide Bullying Prevention Program's website. Also check out the Cyberbullying Research Center's website. If there are others we should mention, please let us know.